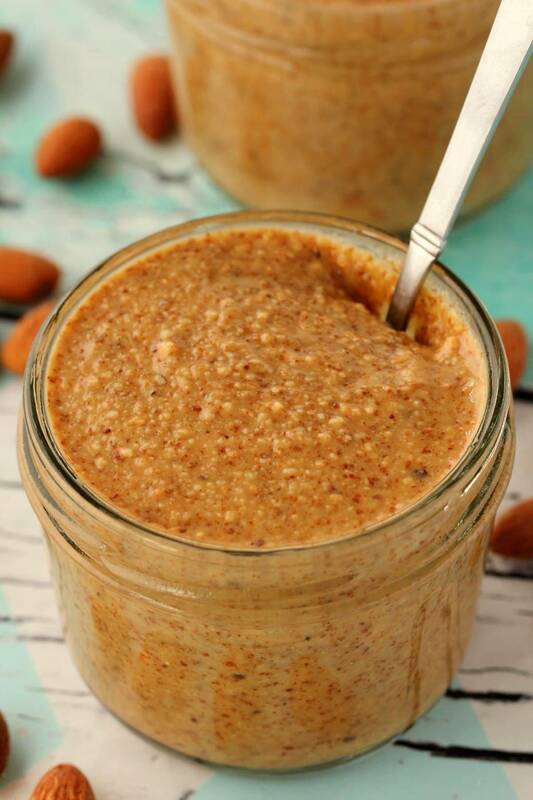 If you want to learn how to make almond butter then you’ve come to the right place! And it could not be easier. And the benefits? It can save you quite a bit of money! 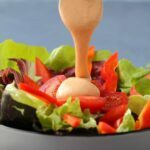 Almond butter from the store can be quite costly. 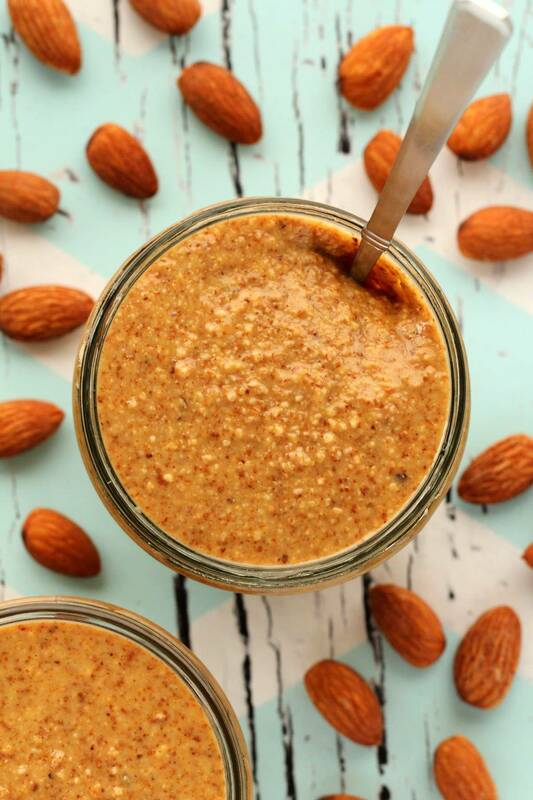 There are just 2-ingredients in homemade almond butter: roasted and salted almonds and olive oil (or other vegetable oil of your choice). If you prefer an unsalted version, then you can use roasted unsalted almonds. But I find the salted variety to result in a fantastic flavor. They definitely need to be roasted though. 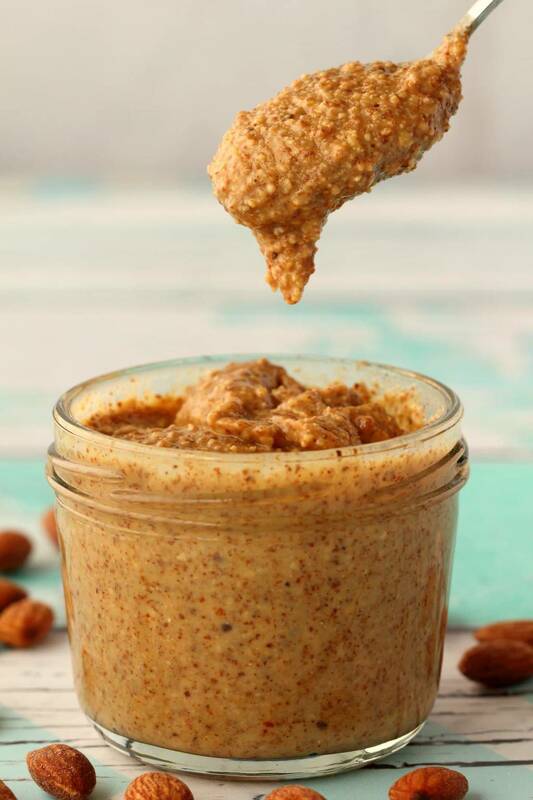 While it is possible to make almond butter with raw almonds, it takes much longer to do. So save time and go with roasted. 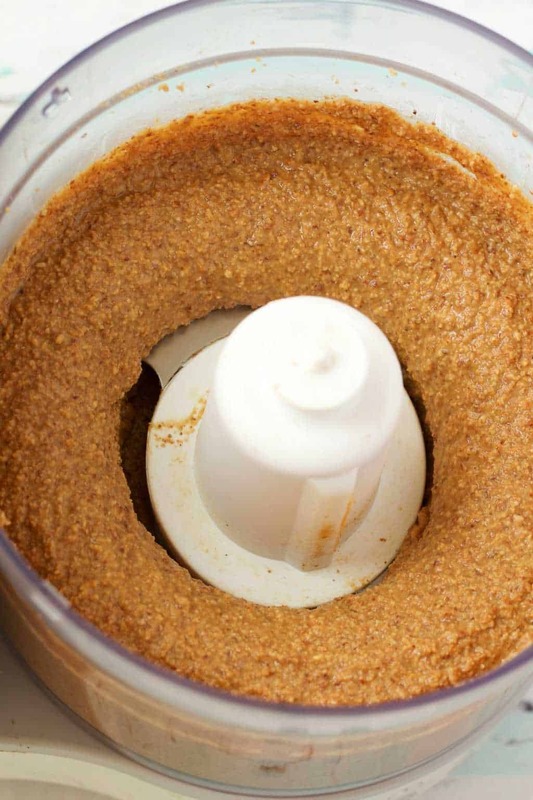 And then all you need is a decent food processor and you’re ready to go. 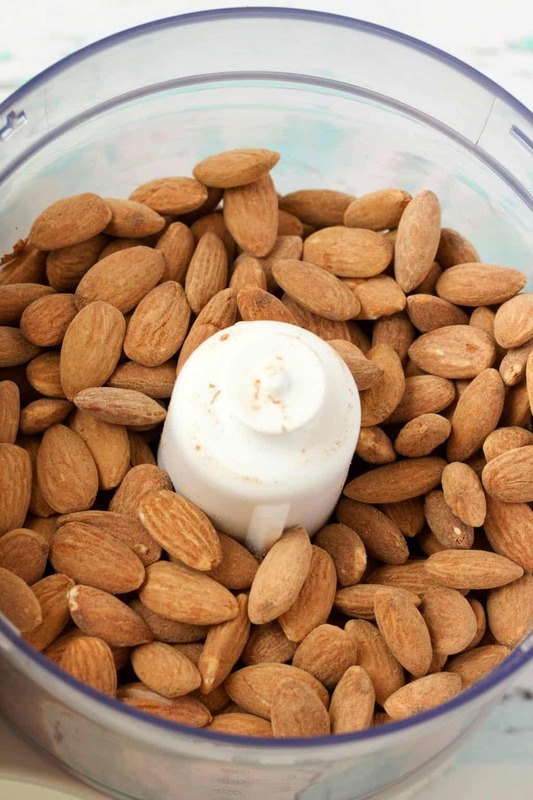 Add the almonds to the food processor and process. They will start off crumbly and then will gradually start to stick to the sides of the processor. Stop it, scrape down the sides and start it up again. Add in the vegetable oil while the machine is running. Continue to process. It will look how it looks in the picture above. Keep processing until you have what you see in the picture below. 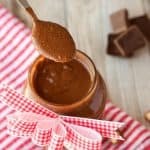 It’s really too easy and takes just 10 minutes to make! 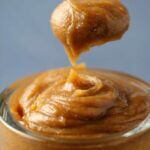 Transfer it into a covered container or a jar with a lid and keep it in the fridge where it lasts perfectly for up to 3 weeks! 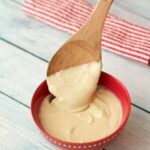 Spread it on apples, bananas, toast, throw it in your smoothies, your oatmeal, use it in your overnight oats! The options are endless! So let us know what you think of this recipe in the comments below and rate it too, thanks so much. Sign up to our email list to stay up to date with all our latest recipe posts (and you’ll get a free recipe ebook in the deal as well!). 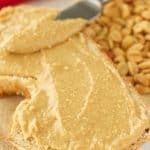 Easy 2-ingredient recipe for homemade almond butter. Deliciously fresh, easy and fun and ready in 10 minutes! Vegan and Gluten-Free. 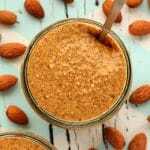 Place the almonds into the food processor and begin processing. 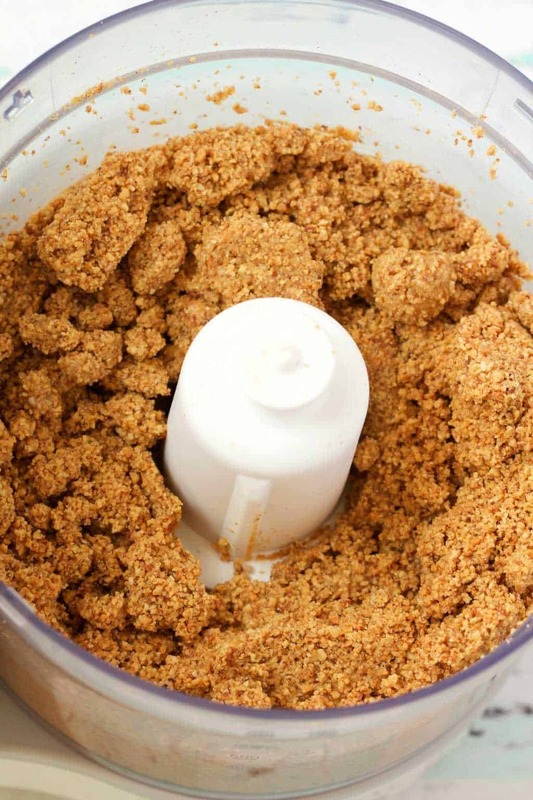 It will start off crumbly and then gradually it will become sticky and start sticking to the sides of the food processor. Stop the machine and scrape down the sides. Start it up again and pour in the oil while the machine is running. 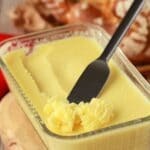 It will gradually start to form a butter, keep processing until thick and smooth. Hi Cheryl! I really don’t know! Have never tried that. 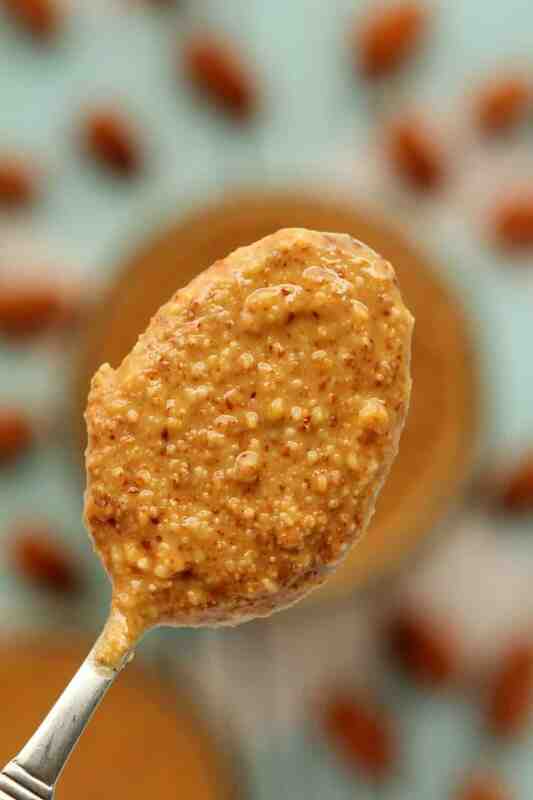 I have only made this with whole almonds.